It’s been an incredibly hectic couple of weeks. 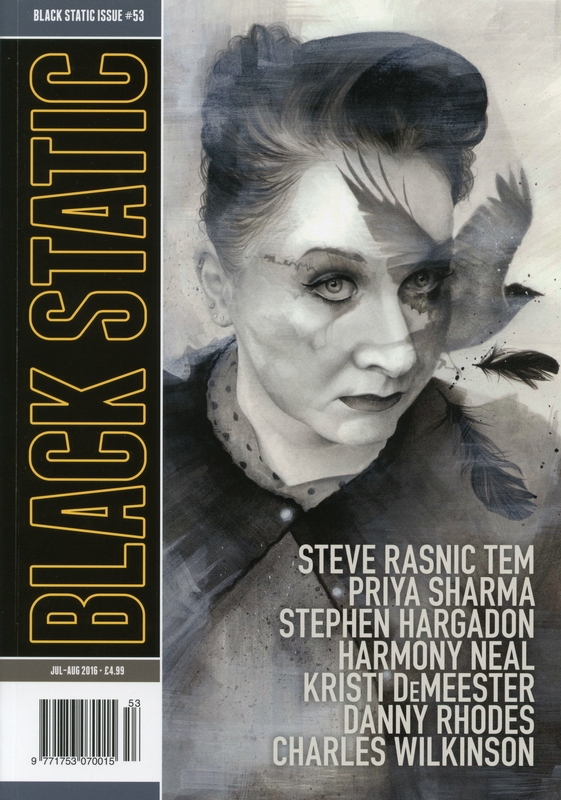 As you can see, Black Static #53 is out and includes a comprehensive review of Storylandia 15, as well as a load of great looking reading. Peter Tennant comparies the collection to the likes of Arthur Machen and Algernon Blackwood as well as Clive Barker, and highly recommends it. Illustrious company indeed! Many thanks to Peter for taking the time to do this. I so often operate in a vacuum, it’s extremely interesting and helpful to get an idea of what other people think of what I do. Do I need this kind of validation? As much as anyone else does – I yo-yo between brimming confidence and wild self-doubt, and I was a bit concerned that some of what I now write is just simply inaccessible to the rest of the world. Following on from the review, I’ve been interviewed by Peter for Case Notes on the TTA Press website. He asked some good questions and I gave some very honest answers. When I first began writing, one of my ultimate goals was to be interviewed. Twenty-three years later, it’s actually happened! (as a writer – I’ve been interviewed as a musician and as a political activist). Of course, what I really meant was that I needed to be heard and taken seriously and the writing provides its own voice. The interview will either get people very interested in what I do or will send them running for the hills. Andy Martin’s anthology, Fast-Clean-Cheap, is now at the proof-reading stage and is due to be published in September this year by Lulu. It’s likely to be an eclectic collection, with my two pieces probably the only ones inthe horror/dark fantasy vein. Expect the unexpected from Andy! Finally, I’m very happy to announce that Wapshott Press have asked me to do a second short story collection, for release around the end of 2017. I’ve two or three stories already completed for it, plus a few tricks up my sleeve regarding some older (almost unseen by anyone else) work and two or three new stories to write for it in the next year. The working title for the collection is We Are All Falling Towards The Centre Of The Earth, and I have some thoughts for the book’s cover, too. Once again I have to thank Ginger Mayerson and all at Wapshott Press for such amazing support and faith. This entry was posted in Uncategorized and tagged Algernon Blackwood, Andy Cox, Andy Martin, Arthur Machen, Black Static, Clive Barker, dark fantasy, fiction, Ginger Mayerson, horror, interviews, Lulu books, Peter Tennant, publishing, Storylandia, TTA Press, Wapshott Press by owlwoman. Bookmark the permalink. Thank you. Yes, lots to look forward to. Writing is sometimes like floating in space – you need someone to tell you which side is ‘up’. I’m probably guilty of not telling people how good they are – only because I’m sure they don’t need my validation, but everyone needs some acknowledgement.